de Luis-Garcia, R., C-F. Westin, and C. Alberola-Lopez, "Geometrical constraints for robust tractography selection", NeuroImage, vol. 81: Academic Press, pp. 26–48, 2013. Aja-Fernández, S., G. Vegas-Sanchez-Ferrero, R. de Luis-Garcia, and A. Tristán-Vega, "Noise estimation in magnetic resonance SENSE reconstructed data", Engineering in Medicine and Biology Society (EMBC), 2013 35th Annual International Conference of the IEEE: IEEE, pp. 1104–1107, 2013. 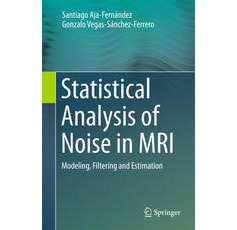 Aja-Fernández, S., R. de Luis-Garcia, C. Alberola-Lopez, and D. Hernando, "Quantitative Diffusion MRI in the Presence of Noise: Effects of Filtering and Fitting Technique", Quantitative Medical Imaging: Optical Society of America, pp. QTu2G–2, 2013. Aja-Fernández, S., L. Cordero-Grande, G. Vegas-Sanchez-Ferrero, R. de Luis-Garcia, and C. Alberola-Lopez, "Robust estimation of MRI myocardial perfusion parameters", Engineering in Medicine and Biology Society (EMBC), 2013 35th Annual International Conference of the IEEE: IEEE, pp. 4382–4385, 2013.
de Luis-Garcia, R., C. Alberola-Lopez, and C-F. Westin, "On the choice of a tensor distance for DTI white matter segmentation", New Developments in the Visualization and Processing of Tensor Fields: Springer Berlin Heidelberg, pp. 283–306, 2012.
de Luis-Garcia, R., C-F. Westin, and C. Alberola-Lopez, "Gaussian mixtures on tensor fields for segmentation: Applications to medical imaging", Computerized Medical Imaging and Graphics, vol. 35, no. 1: Elsevier, pp. 16–30, 2011. Cordero-Grande, L., S. Merino-Caviedes, R. de Luis-Garcia, S. Aja-Fernández, M. Martin-Fernandez, and C. Alberola-Lopez, "Groupwise myocardial alignment in magnetic resonance perfusion sequences", Proc of the XXIX CASEIB, Cáceres, Spain, pp. 437–440, 2011.
de Luis-Garcia, R., and C. Alberola-Lopez, "Tractography clustering for fiber selection in ROI-based diffusion tensor studies", Engineering in Medicine and Biology Society (EMBC), 2010 Annual International Conference of the IEEE: IEEE, pp. 5665–5668, 2010. Martin-Fernandez, M. Angel, R. Cárdenes-Almeida, E. Muñoz-Moreno, R. de Luis-Garcia, M. Martin-Fernandez, and C. Alberola-Lopez, "Automatic articulated registration of hand radiographs", Image and Vision Computing, vol. 27, no. 8: Elsevier, pp. 1207–1222, 2009.
de Luis-Garcia, R., A. C Lopez, G. Kindlmann, and C-F. Westin, "Automatic segmentation of white matter structures from DTI using tensor invariants and tensor orientation", Proc. Intl. Soc. Mag. Reson. Med, 2009. Cárdenes-Almeida, R., R. de Luis-Garcia, and M. Bach-Cuadra, "A multidimensional segmentation evaluation for medical image data", Computer methods and programs in biomedicine, vol. 96, pp. 108–124, 2009.
de Luis-Garcia, R., C. Alberola-Lopez, and C-F. Westin, "Segmentation of tensor fields: Recent advances and perspectives", Tensors in Image Processing and Computer Vision: Springer, pp. 35–58, 2009. Aja-Fernández, S., R. de Luis-Garcia, D. Tao, and X. Li, Tensors in image processing and computer vision, : Springer, 2009. Sosa-Cabrera, D., R. de Luis-Garcia, A. Tristán-Vega, C. Alberola-Lopez, and J. Ruiz-Alzola, "Strain index: a new visualizing parameter for US elastography", PROCEEDINGS-SPIE THE INTERNATIONAL SOCIETY FOR OPTICAL ENGINEERING, vol. 6920: International Society for Optical Engineering; 1999, pp. 6920, 2008.